Yulia Skripal's Wednesday interview with Reuters has already caused a public outcry. Yulia along with her father Sergei Skripal were poisoned in an alleged nerve agent attack in the UK's Salisbury in March 2018. Commenting on Yulia Skripal's interview with Reuters, Russian presidential spokesman Dmitry Peskov said that Moscow is unsure sure whether the interview was given of the woman's own free-will. "Until now, the UK side has not complied with the Vienna Convention [and] up to this point, Russia has not been provided with consular access to Yulia Skripal. We cannot be completely sure about her condition, whether there is any pressure being put on her, whether she made the statements of her own free will," Peskov emphasized. He added that Russia has very right not to believe in the authenticity of the video address by Yulia Skripal. "We still do not know what state Yulia Skripal is in, we do not know where she is, under what conditions, who is undertaking whatever actions regarding her, whether her rights are being respected," Peskov pointed out. Earlier, Sputnik cited the husband of Yulia Skripal's cousin Viktoria as saying that she believes Yulia was pressured into making her video message for Reuters. "I have not seen the video but Viktoria has. According to her, it can be seen clearly that she [Yulia] was speaking under pressure and that her text was read out," Arseniy Elifantyev said. Leonid Slutsky, head of the Russian Lower House (State Duma)'s International Affairs Committee, for his part, did not rule out that Yulia Skripal's interview could have been orchestrated. According to him, the goal of Yulia's video message is to try to hide the truth about the Salisbury incident. "So the Russian Embassy's demands for a meeting with Yulia are quite fair and justified. State Duma deputies will continue to monitor the situation," Slutsky said. He added that the video message raises a lot of questions about her living conditions as well as the truth of her words and intentions. "British authorities have not yet granted Russian consular employees' and embassy staff access [to Yulia Skripal] to ensure that the Russian citizen is safe and is not making statements under pressure," Slutsky stressed. He also said that the Russian side is pleased to see Yulia alive and that it is ready to provide the necessary assistance for her return home. The Russian Embassy in the UK, in turn, has pointed out that it still suspects Yulia Skripal is being kept in Britain against her will, insisting that Russian consulate officials should be provided direct access to her. "The United Kingdom has a responsibility to give us the opportunity to communicate directly with Yulia to make sure that she is not kept [in the UK] against her will and does not make statements under pressure. So far we have every reason to suspect the opposite," a Russian Embassy spokesperson told Sputnik. The spokesperson said that the embassy believes the text she read during her first interview after the poisoning, was originally written in English. "Clearly, Yulia read out a pre-written text. Moreover, judging by a number of expressions, it was a translation from English, and the original was written by a native speaker. Yulia's handwritten letters published in two languages prove this impression," the spokesperson stressed. In a video message for Reuters, Yulia Skripal, who is a Russian citizen, expressed gratitude to the Russian Embassy in the UK, which had offered her assistance, but explained that she "doesn't wish to avail herself of their services." "Also, I want to reiterate what I said in my earlier statement, that no one should speak for me or for my father but ourselves," she said, adding that "in the longer term she hoped to return to her country." The interview was Yulia's first media appearance since the Salisbury incident in March. Reuters reported that it was contacted by Yulia, who was speaking from a secret location in London, via the UK police. In mid-May, the UK National Health Service England said that former Russian spy Sergei Skripal had been discharged from a hospital in the town of Salisbury. Yulia Skripal, for her part, was released from the hospital on April 11 after recovering and regaining the ability to speak in late March. 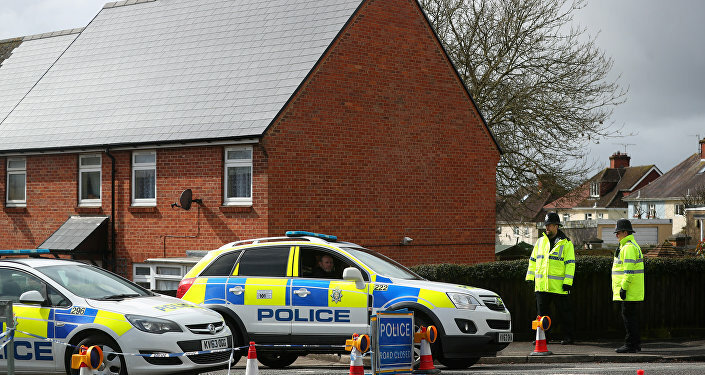 The two were found in the UK town of Salisbury on March 4 after allegedly being exposed to a toxic agent. London claimed that it was "highly likely" that Moscow was behind the incident, something that was followed by the UK expelling 23 Russian diplomats and London's failure to provide any proof of Moscow's involvement. Russia has vehemently rejected the UK's allegations, slamming Britain's steps as a provocation to fuel a Russophobic wave in the international community.